Car versus bakery truck at 8th Street and Coronado Street, 1952. 4 images. 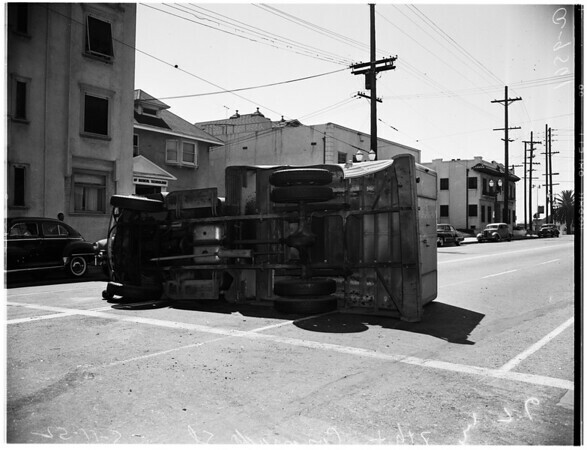 Car versus bakery truck at 8th Street and Coronado Street, 11 May 1952. Officer R. S. Houlihan looks inside at smashed pies and litter of pastry inside of truck. (Sleeve reads: A-9561).